Note: In this post I have added three movies that I created, with well- chosen background music to add to the magic. 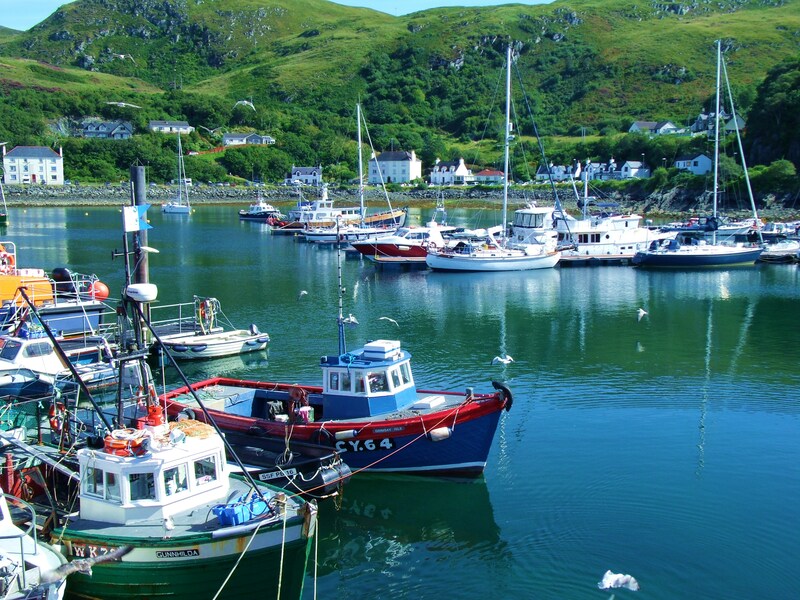 Mallaig is a small fishing port in the Western Highlands of Scotland. 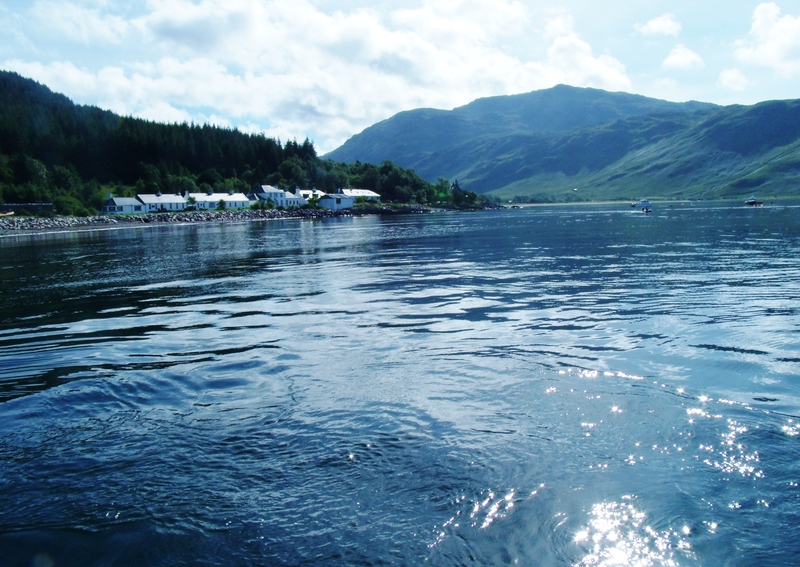 It is the jumping off point for the Knoydart Peninsula, an unspoiled mountain wilderness only accessible by boat, as well as many of the islands abounding off the coast. 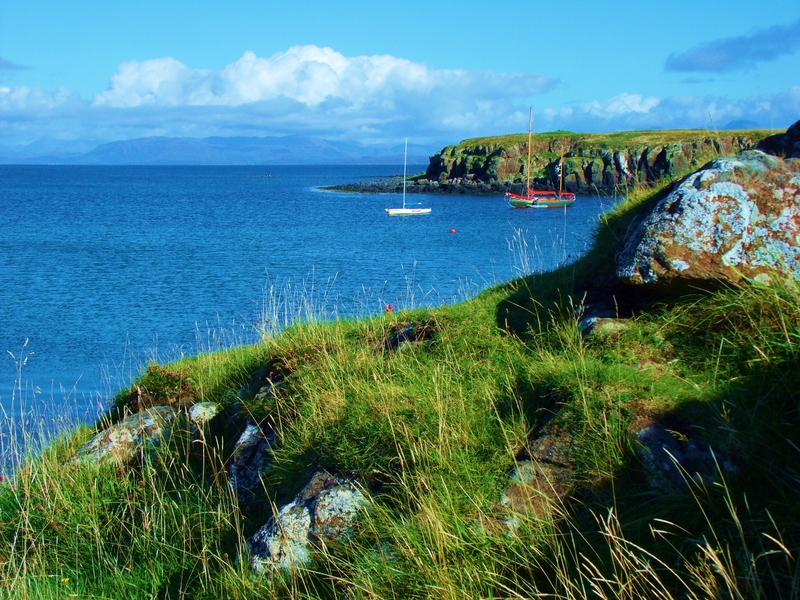 The closest of these are Skye and the Small Isles – Muk, Eigg, Rum and Canna. The area is spectacularly beautiful and, on each visit, I am overwhelmed by the sheer wild majesty of it all. 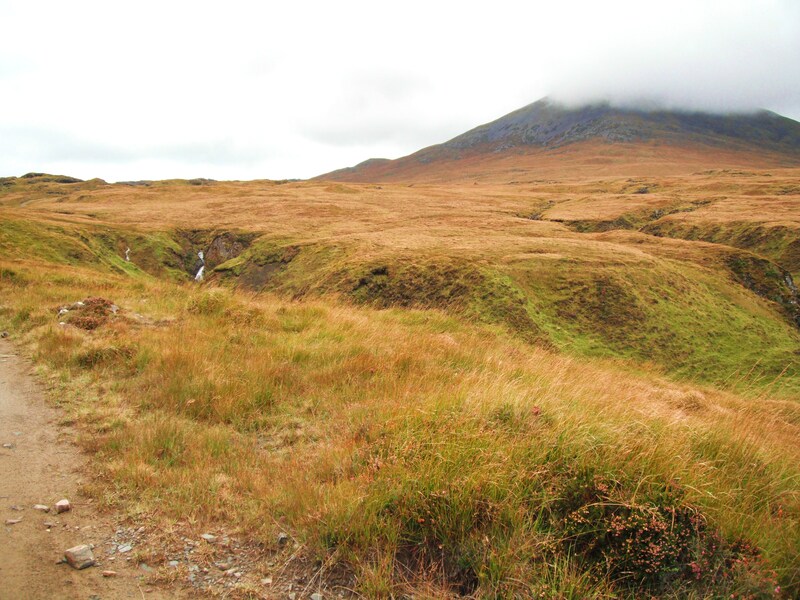 In Joyful Journey, Part 3, I posted an account of my train journey across Rannoch Moor to Corrour, from where I walked to the hostel beside Loch Ossian. On my way from the train halt, I stopped to watch the train as it headed on North into the moorland wilderness. I promised myself I would go with it one day, as I did a month or so later. That train journey terminates at Mallaig, which is why I ended up there. 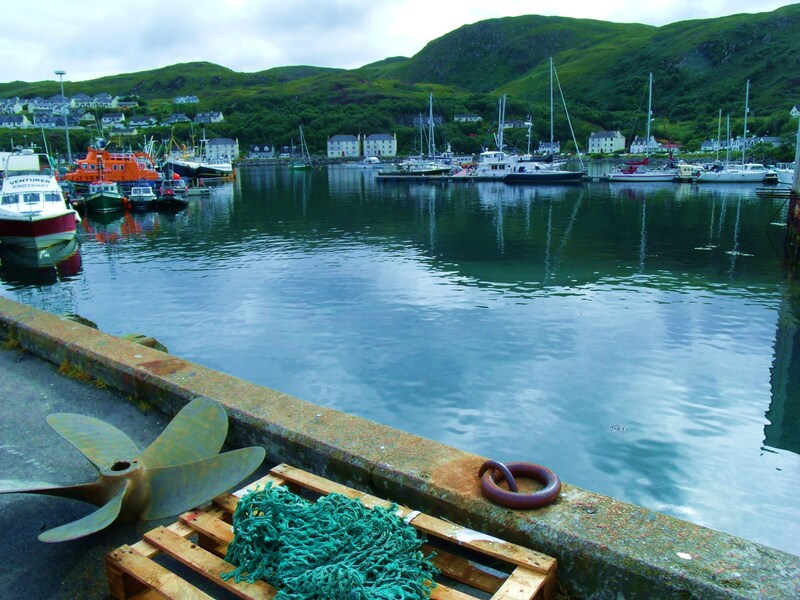 It was August when I first visited Mallaig. There are several boat trips available to visitors. 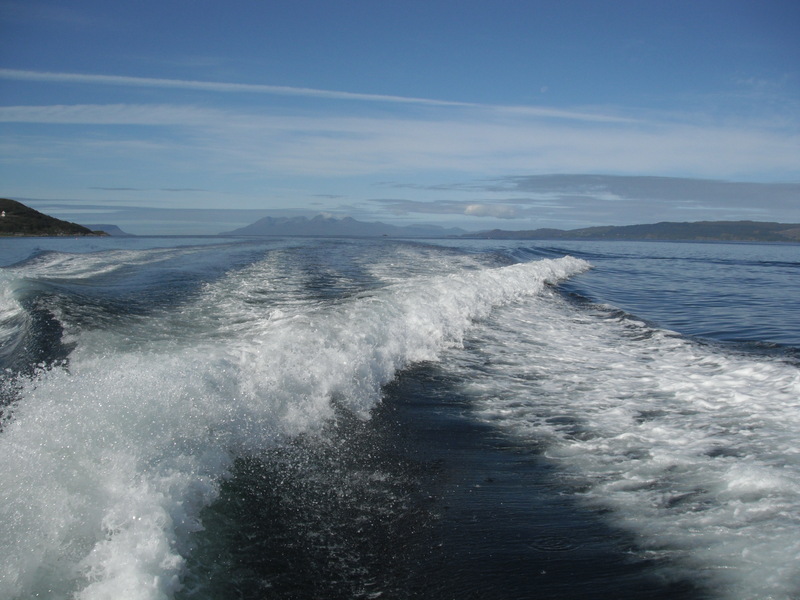 One of my highlights was the seven hour tour of the Small Isles aboard the Caledonian MacBrayne ferry, the ‘Loch Nevis’ and a close encounter with a school of basking sharks off the Knoydart Peninsula while aboard the much smaller and faster ‘Venturer’. The ‘Venturer’ can be seen in the ‘Quayside’ picture above. The short movie below is ‘must see’. Background music played by Julian Lloyd Webber on cello, combined with images of my incredible experiences of sailing the waters around Mallaig, are pure magic. 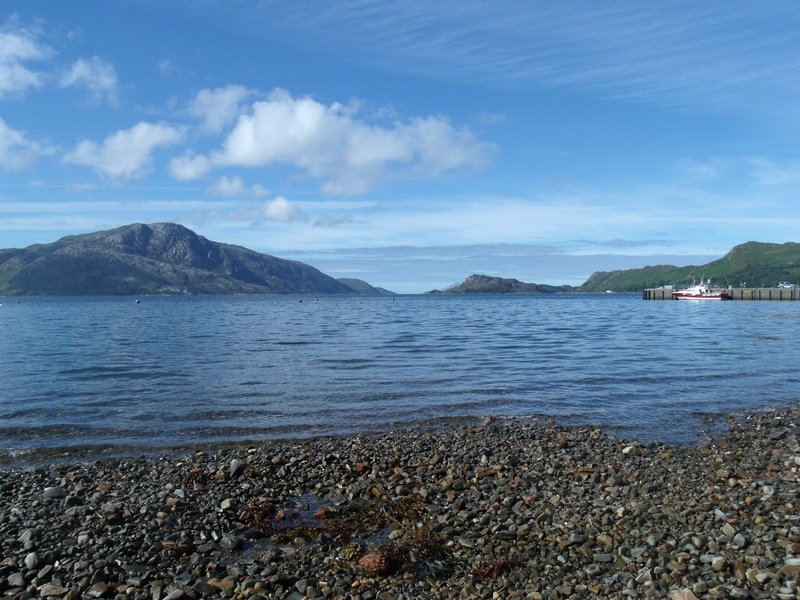 An encounter with the basking sharks I will recount later in this post when I ‘talk’ about the Knoydart Peninsula. 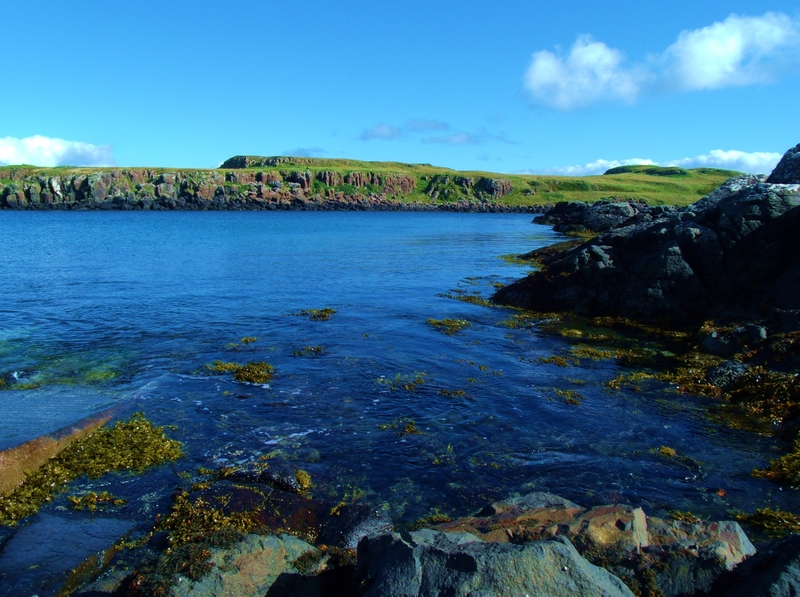 Our first stop on the tour of the Small Isles was at Muk, the smallest of this group of islands. It is privately owned and totally given over to livestock farming, cows mostly. Depending on the source of reference, the word ‘Muk’ (often spelled ‘Muck’) means cow or pig. I suspect pigs were once the livestock of choice, hence the confusion. From Muk, we proceeded to Eigg. The meaning of the name is lost in the mists of time and I found no reference to anyone hazarding a guess. Once privately owned by a succession of problematic owners, this island is now owned by the small community residing there.The Sgurr is an outcrop of rock whose distinctive shape makes this island instantly recognisable from a distance and saves it from being almost completely flat. Canna is the island furthest from the mainland. It has a simple charm all it’s own. 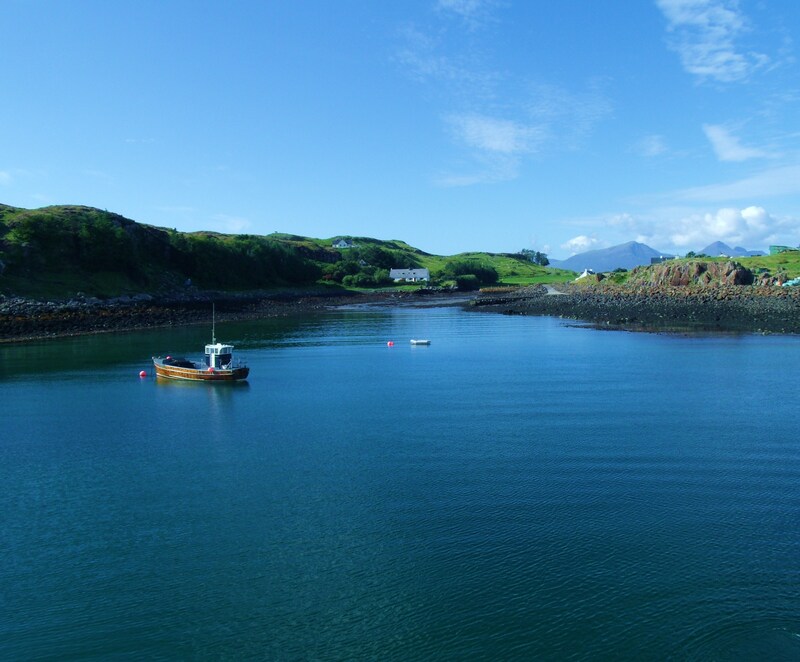 For those who like nothing but gentle walks, this isle, along with Eigg and Muk are perfect, offering stunning views of the surrounding waters and, in Spring, a host of wildlife and wild flowers. 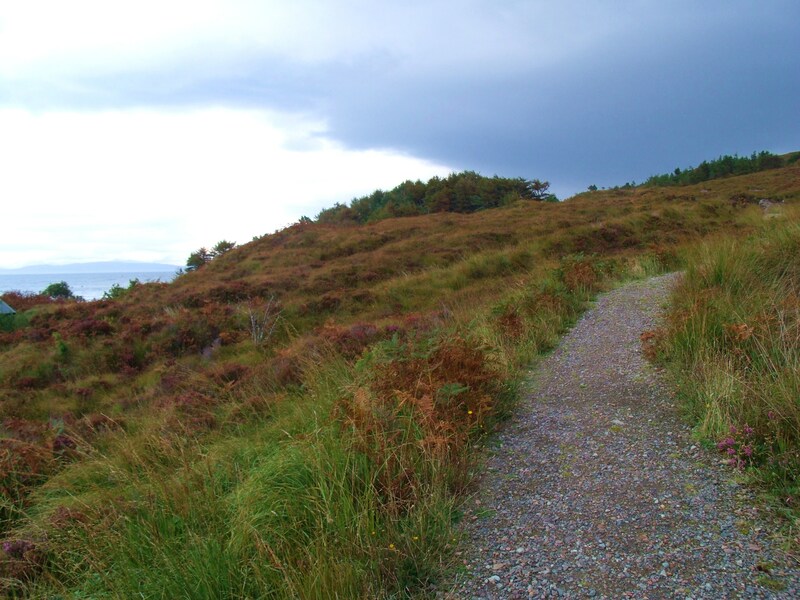 Canna does have one unusual feature in the form of a hill, so full of iron that it affects compasses for miles around. The photo below shows the distinctive and ancient St. Edward’s Chapel. Rum, the largest island of the group, measures 8 miles x 8miles, which fact accounts for its name, ‘Rum’, from the old Norse word for ‘wide’. 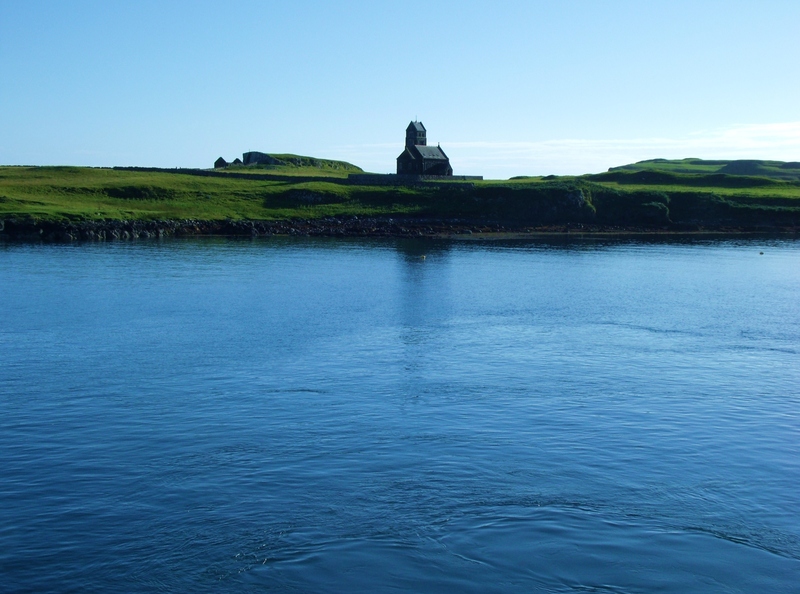 Once known as ‘The Forbidden Isle’, Rum is by far the most varied, surprising and historically interesting. Sailing past it on the way to Canna, one sees nothing but barren mountains. It is difficult to imagine life, other than birds, surviving here. In fact the island teems with wildlife and has a small but robust community year round plus many tourists during the season. Of all the places I have visited, Rum is the most surprising. Finding that there was a hostel there, I arranged to stay for a couple of days. I did so with some trepidation. Having seen it from the water, and being long past the bloom of youth, I was unsure just how difficult a task I had undertaken. However, the above is just one of the many faces of Rum. Arriving there, I had, what may be, the greatest surprise of my life. Rum is an island of contrasts not formed by nature alone. Rum has an intriguing story. 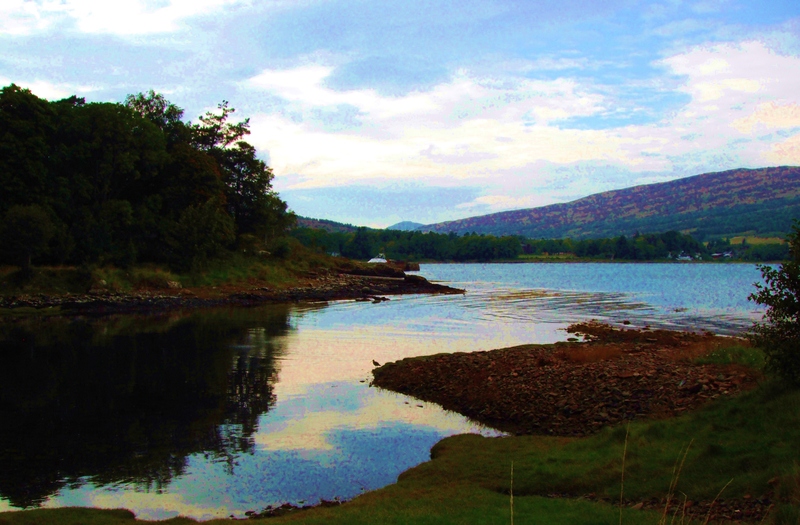 The harbour, known as ‘Loch Scresort’, is dominated by a huge castle, as incongruous as it could possibly be. It is surrounded by pastoral, woodland, paddocks a stable yard, meandering woodland paths, a crenellated stone folly, and several ornamental stone bridges and gateways. 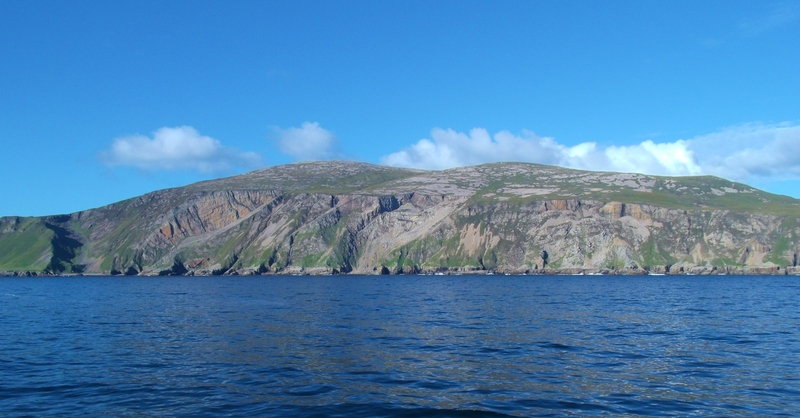 This cultivated, gentle landscape only accounts for a tiny percentage of the island, covering a crescent shaped area three miles long and a mile wide at the centre. 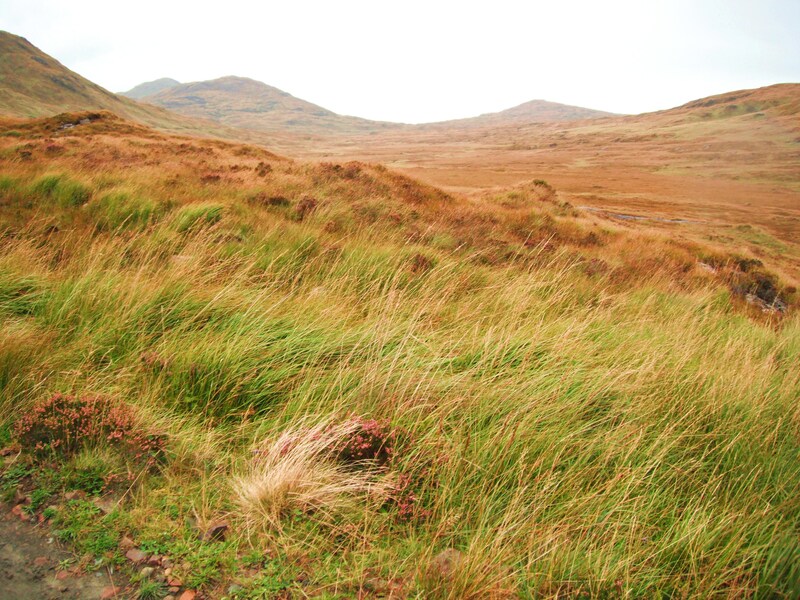 The rest is varied, beautiful and apart from a couple of roads built more than a hundred years ago, it is wild and totally unspoiled.A small community, some thirty strong, populate this area known as ‘Kinloch’, meaning ‘head of the loch’. 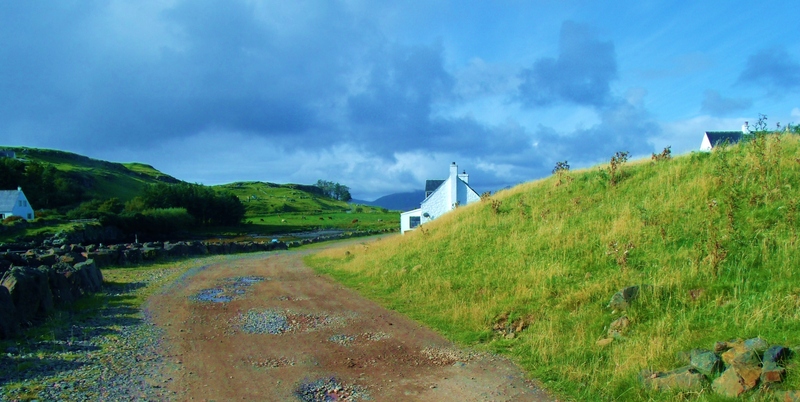 Along with the castle, a small variety of dwellings, including a couple of whitewashed cottages, two similarly coated bothies, and a yurk or three, plus a tiny store adjoining the community hall make up ‘The Village’. 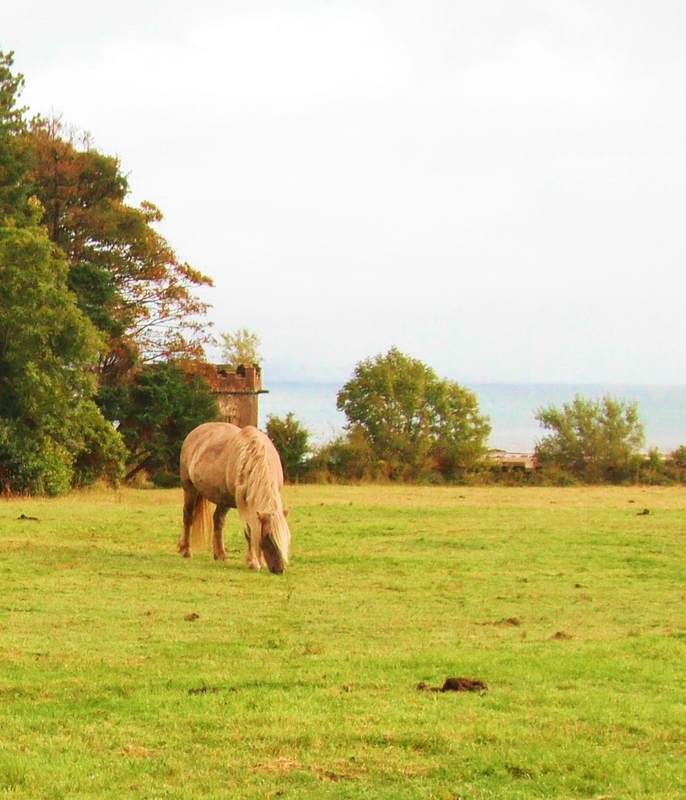 These adorable, distinctive looking ponies are only found on Rum and have been here for as long as anyone knows – I like to think thousands of years. A few are still used as work horses until retired and then are returned to the wild herd some twelve miles from the Village. To get there requires crossing a mountain range and the hike is not for the inexperienced or the faint of heart. The castle and Village now belong to the residents who still maintain the wildlife protection begun in 1957 when the Conservation Society bought the island and turned it into a nature reserve, which status remains today. One of the legacies of George Bullough is the amazing variety of birds that now frequent the island, enjoying the huge variety of trees he had planted. 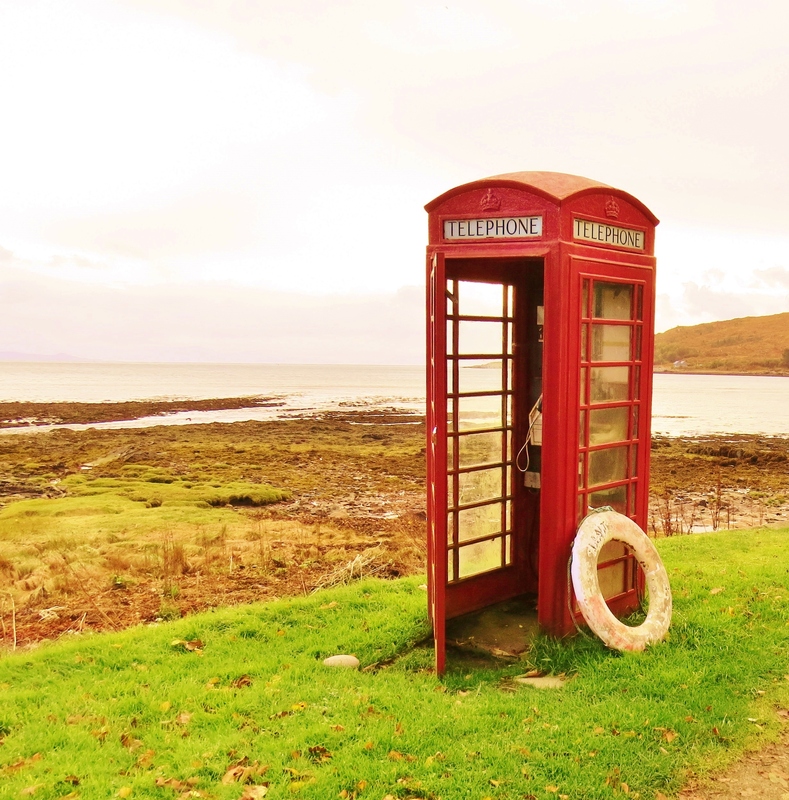 As remote as it is, the island has a telephone ‘landline. Cell/mobile phone reception is almost non-existent, as one would expect. I did not see any otters or the seals that also frequent the shore there. There was the rainbow, though. Back to the village and the intriguing crossroads. 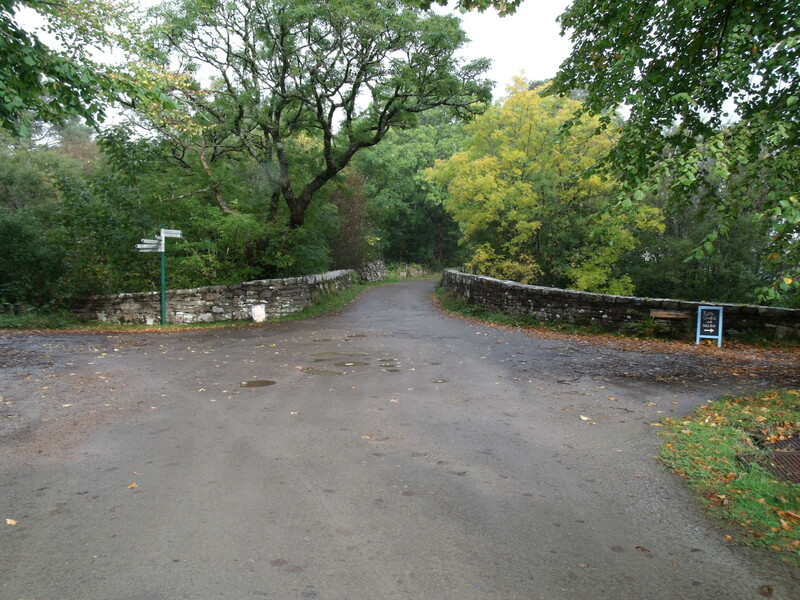 The road going left in the picture above leads to Kilmory Bay. There, in the rutting season, deer gather on the sandy beach. With mountains and ocean creating a suitably grand setting, the stags fight for the ladies, bellowing and clashing antlers. Sadly, I only made it two thirds of the way there, so was unable to capture those wonderful scenes on film. 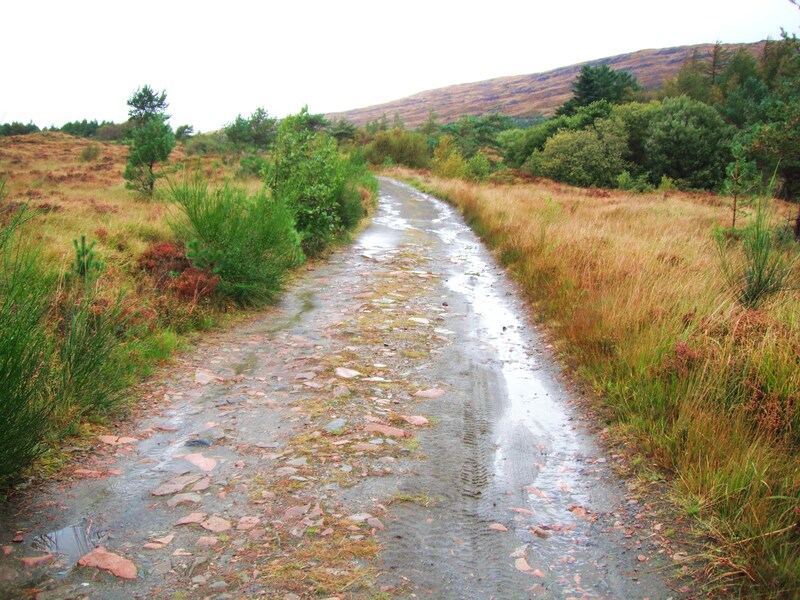 The hike from Kinloch to Kilmory is only 5 miles, but the way is mountainous and somewhat challenging. The weather suddenly turned foul and I was forced to turn back. Hopefully, on my next visit their I will make it to the finish. A short distance from the cultivated, pastoral and wooded Kinloch, the terrain reverts to pristine wildness – with the exception of the road itself, a legacy of Robert Bullough’s car racing days. I was overjoyed to leave the man-made cultivation behind and finally experience some of the true nature of Rum. 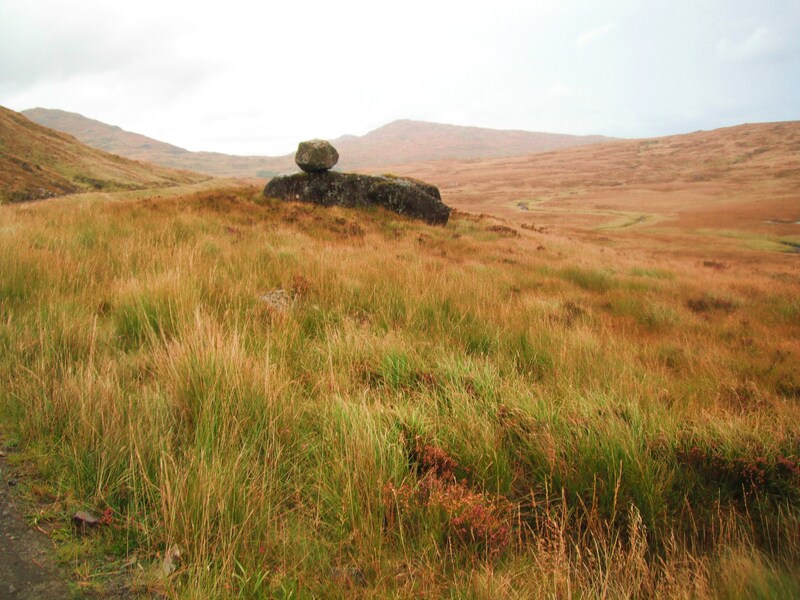 These stones pictured above are a monument placed there by displaced crofters during the Highland and island Clearances. The short movie above I made out of a desire to portray the sheer magic of this amazing isle. It only shows a tiny percentage of the whole, many more moods and faces I have yet to discover first hand. I chose ‘Dark Island’ as the background music. I first heard this played on Indian Pipes by a native American street musician in Edinburgh, Scotland. The combination of music with images is pure magic. I would be remiss if I did not share my close encounter with basking sharks while on a short visit to the Knoydart Peninsula. 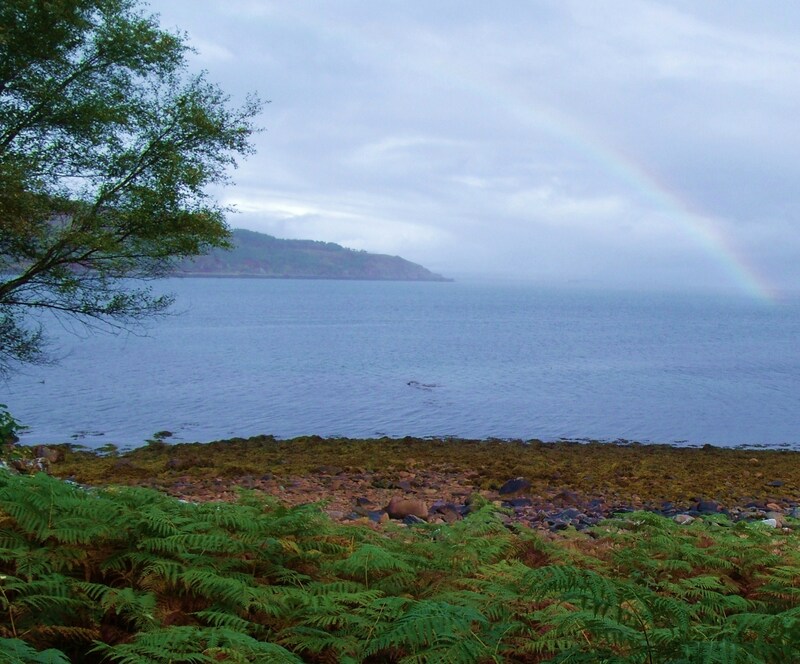 Only a short trip by fast boat from Mallaig, the peninsula is one of the last remaining unspoiled wildernesses in Europe. Rugged mountain terrain make it a suitable extended place to visit for only experienced climbers and those with excellent survival skills. I contented myself with a short walk around the edges. The ‘Venturer’ is a fast little boat and perfect for those wishing to take photographs. Our encounter with the basking sharks while returning to Mallaig made the trip so very worthwhile. 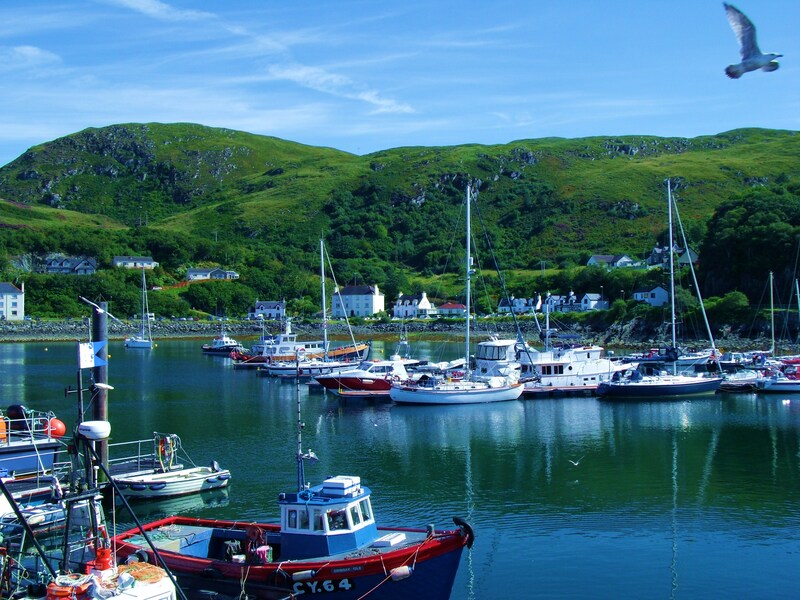 For those who may wish to follow in my footsteps and spend a backpacking holiday in Mallaig or the surrounding areas, here is a little information on where you might stay. 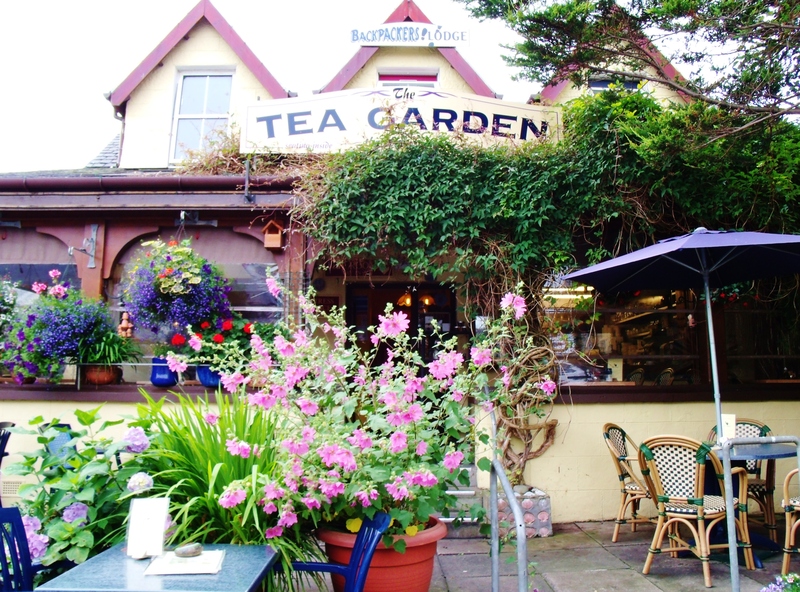 This is a cosy little hostel above the restaurant and overlooking the harbour. There is also a new hostel at the Mission – also above a restaurant. This is the residence of the Ranger on Rum. 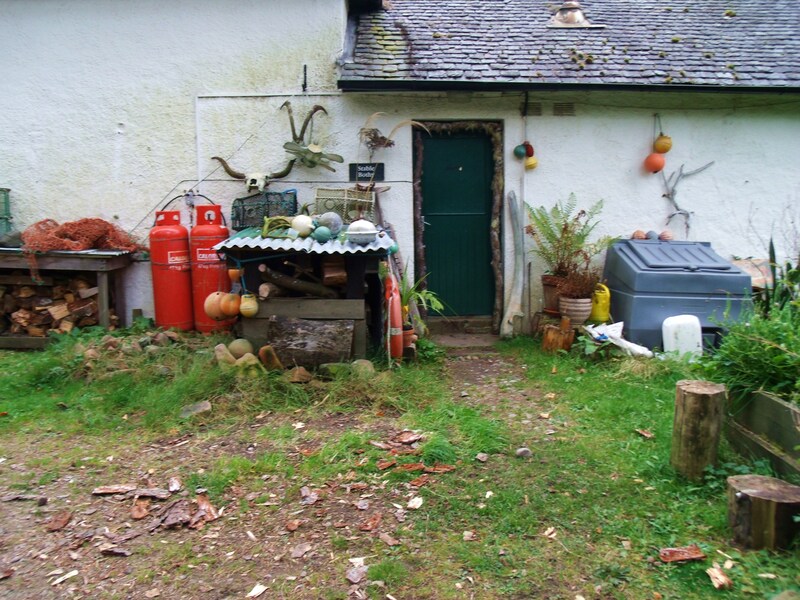 Adjoining this building is the Stalker’s Bothy, limited space in which can be rented. Bed and Breakfast can be had at Ivy Cottage, Rum while a camp site and three or four pods are available. 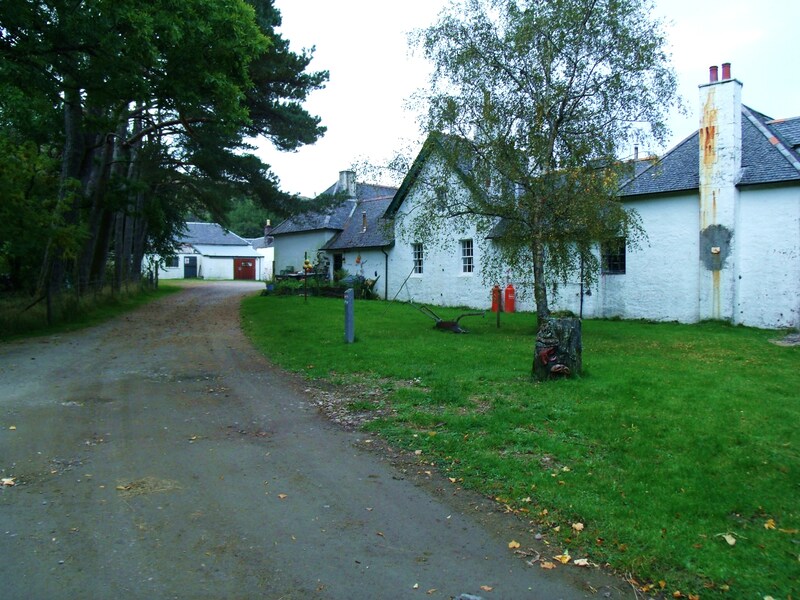 A new hostel to replace the, now closed, temporary Kinloch Hostel, is now open. 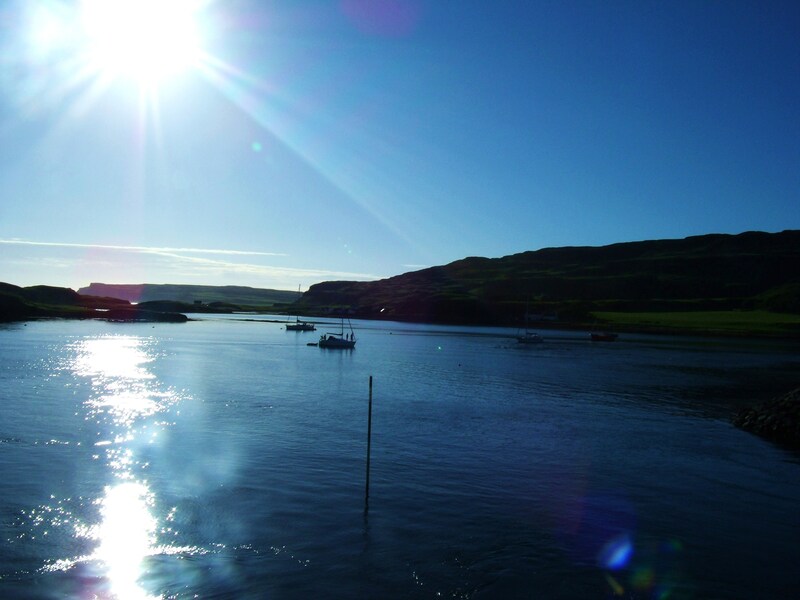 Canna and Muk have cottages to let while Eigg has the Glebe Hostel as well as a variety of other types of accommodation.